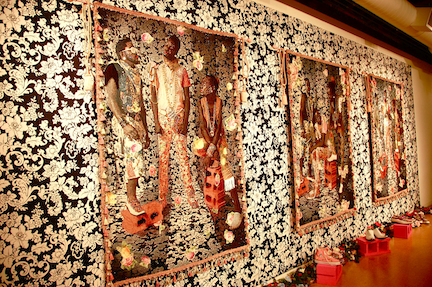 Julie Gross reviews the new exhibit of Caribbean artists’ work in Lexington, Kentucky. It becomes clearer every day that America is one big melting pot. The reasons people immigrate here are vast and varied, but the one thing that is clear of those who begin another life in the U.S. is that it will never be like their first home. They’ve been thrown “into the mix” per se.